Partial Cash Out: You Can Eat Your Cake and Still Have It! Gone are the days when you can’t eat your cake and have it, at least as long as sports betting is concerned. 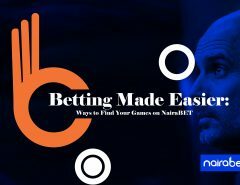 In our usual fashion of always improving your betting experience and making sure you always get value for your betting money, NairaBET has added a new feature called “partial cash out”. You know how the normal cash out works yea? It’s where you get paid even before the games on your bet ticket are all played. 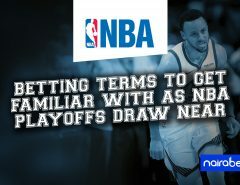 But with partial cash out, you can take part of your cash out offer and leave the remaining to keep running on your bet. For example, let’s say you played with N1,000, and after some games on your ticket have “entered”, the system offers you N30,000. Instead of taking the whole 30k and cashing out completely, you can decide to take just 15k and allow the remaining to keep running as your betting stake, till the games on your slip are all played. That is basically enjoying both worlds; you make some money from cashing out, and you still continue betting with some money — all with the same ticket. Talk about eating your cake and still having it! That’s the flexibility we now offer you as a NairaBET customer. 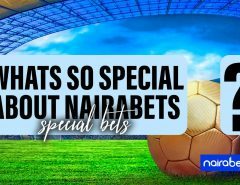 But…what are the conditions to enjoy NairaBET’s partial cash out? Works only on the five (5) major footbal leagues: English Premier League, Spanish La Liga, Italian Serie A, German Bundesliga and French Ligue 1. Works only on the following betting markets: 1X1 (win/draw/lose), Double Chance and Draw No Bet. That’s all! 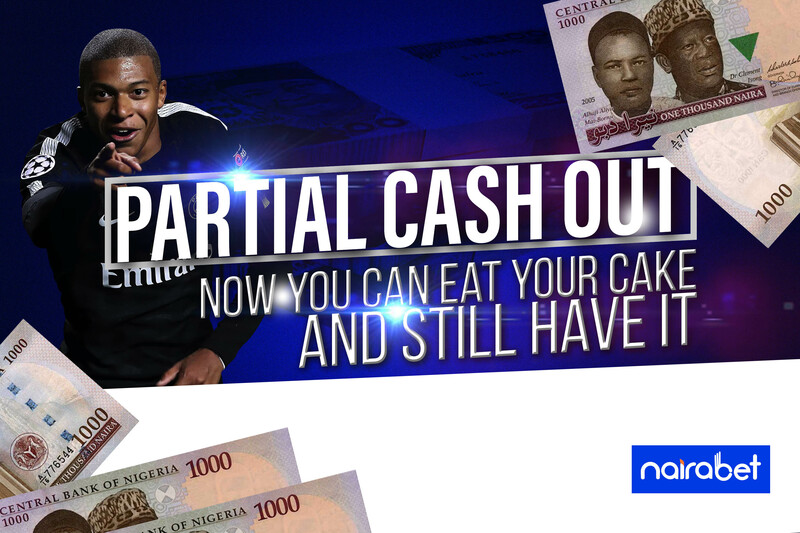 Head to your NairaBET account now and start enjoying the best of both worlds with Partial Cash Out! How would you enjoy the Partial Cash Out feature without a NairaBET account? If you don’t have a NairaBET account, click here to open yours NOW! Is it not same thing to cashout and then rebet the remaining games? 2. Your bet still runs and remains valid; no need to rebet.